The New Tillamook Creamery Visitor Center is open! Formations fabricated and installed approximately 7,500 square feet of exhibits designed by Olson Kundig Architects with graphic design by Studio SC. Oregon Governor Kate Brown spoke at the ribbon cutting ceremony June 19th, saying “this new visitor’s center will serve as a greeting card not just for Tillamook but the entire state of Oregon.” The approximately 1.3 million visitors who will walk through the visitor center each year will get to experience a classic Oregon destination, enhanced. Through new experiences that satisfy an appetite for engagement, learning, and fun—and cheese and ice cream—visitors discover the history of the creamery, get to know the people behind the products, and learn what it takes on the farm, and in the factory to create quality products. “Feed” a calf and “milk” a cow. 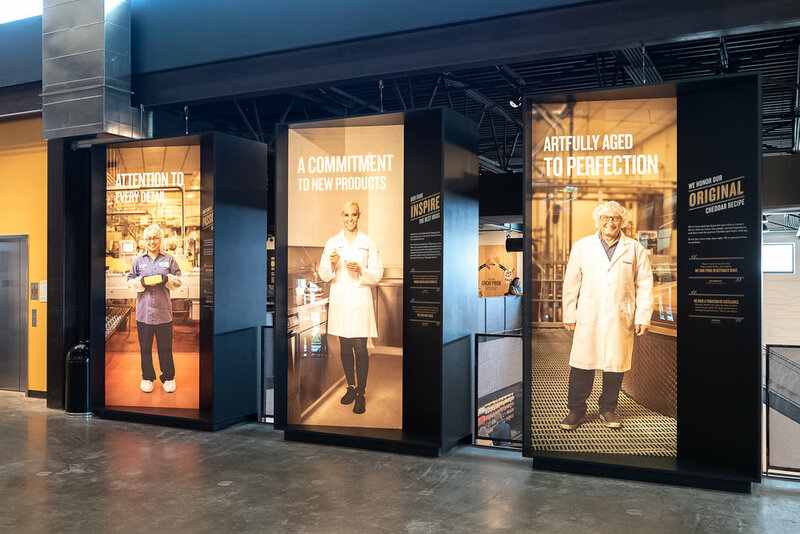 Follow along the step-by-step cheese-making process from the viewing area above the factory floor—then sample the products at the cheese bar. And when you’re looking for more, the spacious food hall offers delicious items from classic grilled cheese to new wood-fired pizzas. If you’re still hungry, there’s a new yogurt bar, and, of course, don’t forget the ice cream! 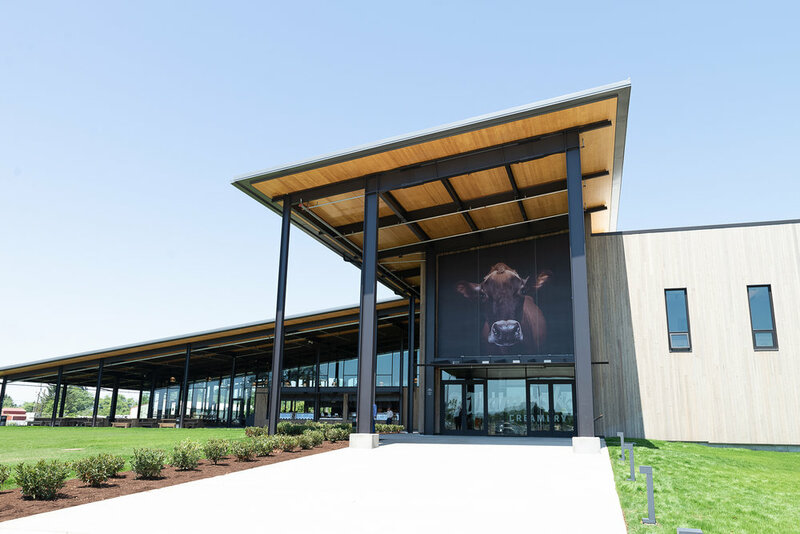 We’re proud to be part of the great team that helped open the doors of the new Tillamook Creamery Visitor Center. We coordinated and worked with the design groups, building general contractor, and client to ensure a successful project, and joyful visitor experiences for generations to come.